Time to Get Healthy Harford! Leading a healthy lifestyle means a lot of different things to a lot of different people. 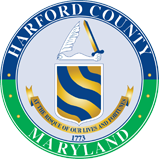 There are a lot of great ways to get healthy here in Harford County. We have beautiful parks and trails, a variety of places to workout, great farmers’ markets and roadside stands, and lots of open space. Here are some resources to help you on your way!